The next issue of Airgun Hobbyist magazine will ship out to subscribers on about 25 March. Here's a preview of the cover page and the contents. 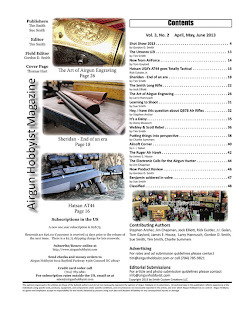 There' a wide range of interesting articles, including features on the Ruger Air Hawk, Hatsan's AT44, the Webley and Scott Rebel and QB78 air rifles. 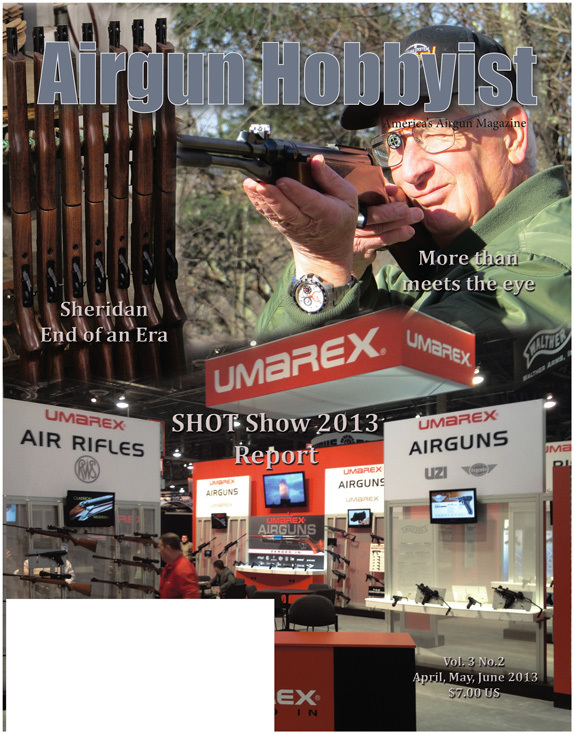 Also included is a review of airgun interest at the recent 2013 SHOT Show. The Contents page is here, so you can see full details. Just want to read the current issue? You can order one Airgun Hobbyist magazine here. You'll find much of interest to read!